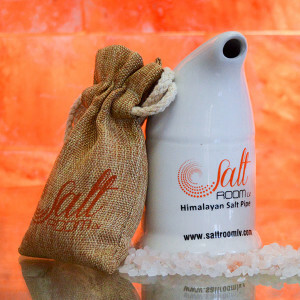 Signature Salt Room LV Ceramic Neti Pot – comes with a bag of pure white Himalayan Salt. 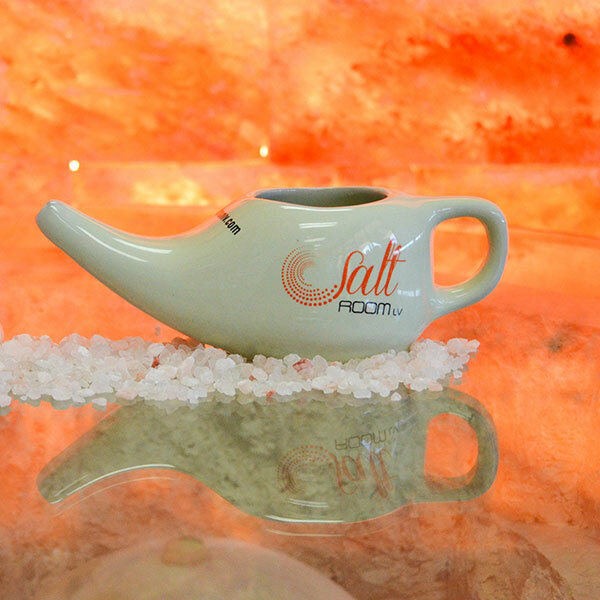 A neti pot is a container designed to rinse debris or mucus from your nasal cavity. It helps treat symptoms of nasal allergies, sinus problems or colds. It’s important to use bottled water that has been distilled or sterilized.